Made of Pure, 100% Kentucky Hemp! Westmoreland CBD products are made in small batches using a supercritical CO2 fluid extraction method. The premium, all natural products are made from pure, high quality 100% Kentucky Hemp, contain no preservatives and are 100% Chemical Free. Our CBD oil is offered in both a Full Spectrum formula and a THC Free formula. 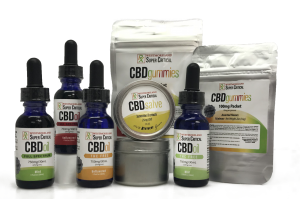 Other products include CBD gummies and CBD salve. These products contains no more than 0.3% total THC by dry weight. Researchers discovered that it is possible to create a high concentration of CBD in unique cultivars of hemp, and extract the oil to be sold. In addition to CBD, this oil contains many other healthy cannabinoids, terpenes, and nutritious omega fatty acids and vitamins. Hemp is part of the cannabis sativa L. species, but hemp, and the CBD oil from it, has no psychoactive properties of other cannabis species — meaning you get all the health benefits with no high or side effects.